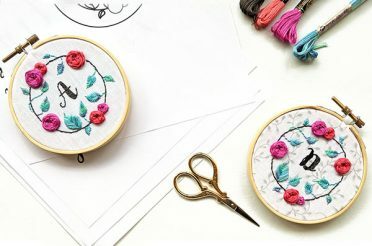 It’s incredible to think that something as simple as French knots or Colonial knots can create fear, but this tutorial will help you enjoy them. 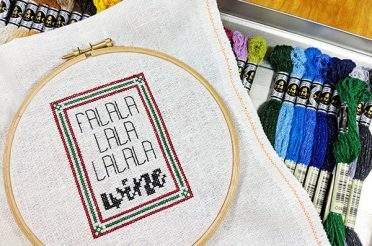 In many of the cross stitch Facebook groups I belong to, so many people struggle with French knots in particular — I have seen some people even say they won’t buy certain patterns because they happen to have French knots in them. Others simply replace the knots with small seed beads. There is also the Colonial knot, which many have recommended to the French knot-phobic as a simpler alternative. 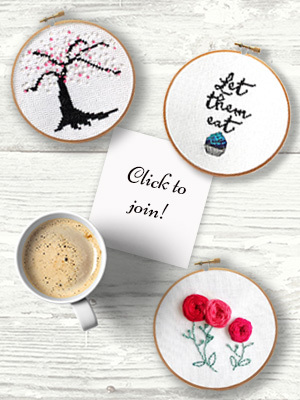 So in this video tutorial, I’ll be showing how to do French knots and Colonial knots, and explaining the likely reasons stitchers sometimes find them difficult. I’m also providing a free pattern that you see me working on in the video, you can get that in the freebie section of the shop. 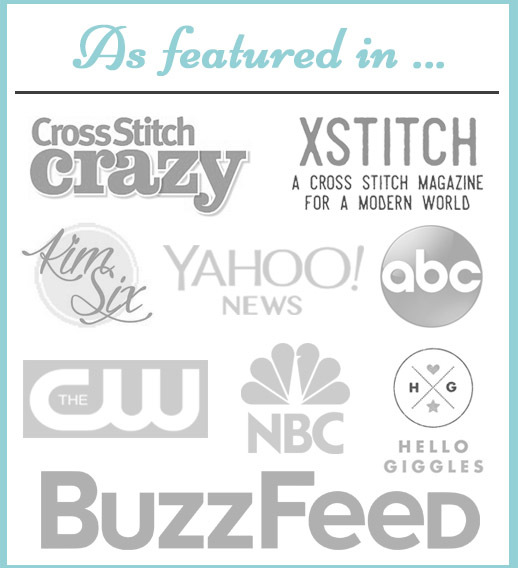 Click here for your free pattern! For a colonial knot, you make a backwards C, then place the tip of your needle under the upper arm of the C. Wrap the tail of your thread in the opposite direction around the tip of the needle, creating a figure 8. 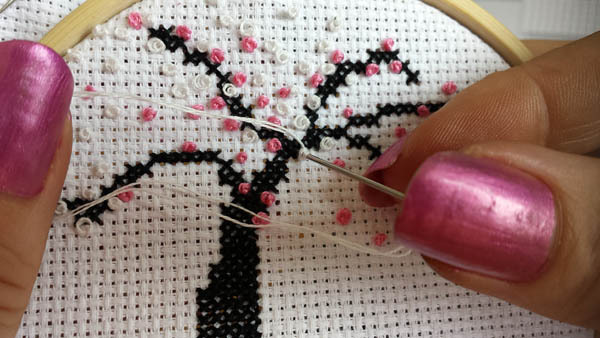 For a French knot, wrap the thread twice (or more) around the tip of the needle. Make sure your needle goes back into the fabric in a different place than where it came out. Keep slight tension on your thread in your left hand to prevent knotting as you draw the thread through the fabric. Use a milliner’s needle or any other embroidery needle where the eye is the same width as the shaft. Do not use your tapestry needle. A finer needle will result in a tighter knot. 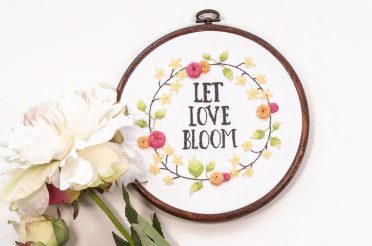 It's amazing to think that something as simple as French knots can strike fear into a stitcher's heart, but this tutorial will help you learn to love them! 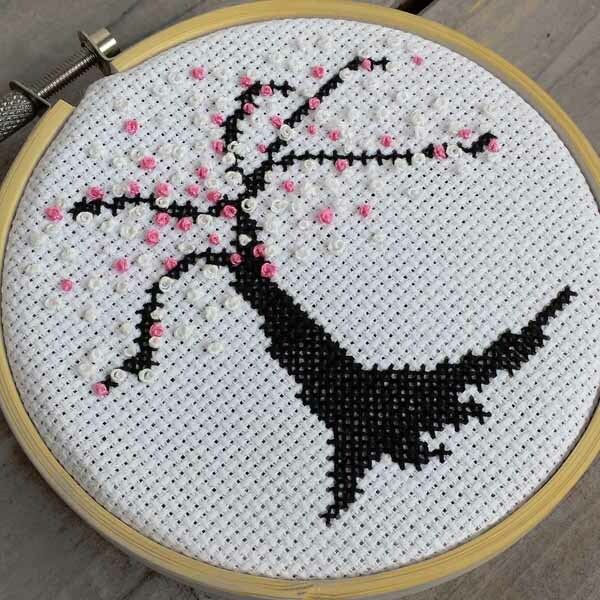 I am of the group who prefers seed beads to French knots. Ugh! I really hate them. But I will try this pattern and see what happens. I already see pretty beads replacing the knots. Yep, knots are my phobia. Still will give it a shot. I am ambidextrous but sew holding a needle with my left hand. I’m usually ok with automatically reversing what right-hand sewers do but maybe I’ve been doing the winding of the thread wrong. I have had trouble with French knots. For a left handed stitcher, how do you wind your thread around the needle for a French Knot or for a Continental? Thank you always for a wonderful site. This is a very helpful tutorial. 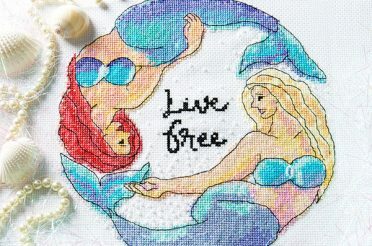 I, too, have had difficulty with the French knot. (I would summon all my courage before progressing to that stage of a project.) You’ve provided clear instructions. 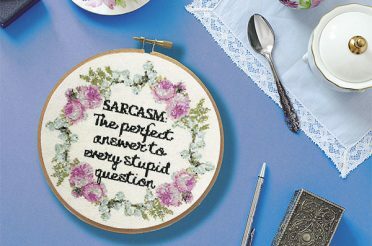 I look forward to applying the tips to my next cross stitching project…with confidence! Thank you so much for your wonderful video. It helped me finish a project for my friend. You did a marvelous job simplifying the directions. You are a great teacher. I recognized your talent because I’m a retired primary teacher. How do I login if I return to your site and want to look at a new pattern and/or tutorial, please? I’ve joined up, but cannot find a place to login. 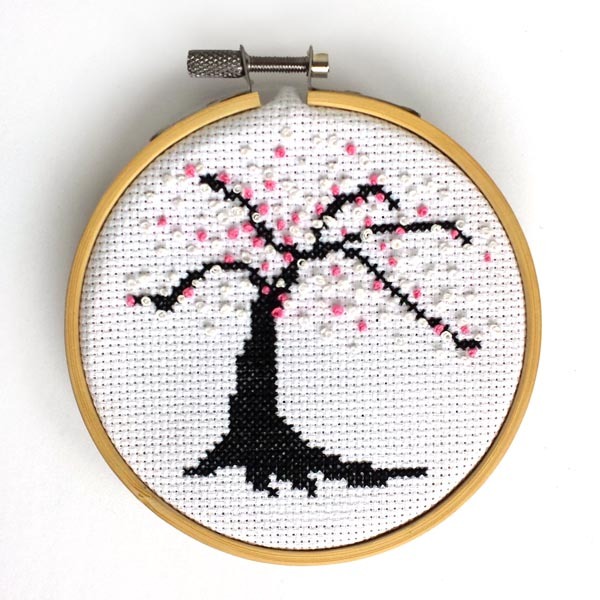 After cross stitching for well over 30 years and avoiding knots for equally as long, I watched your tutorial on colonial and French knots. 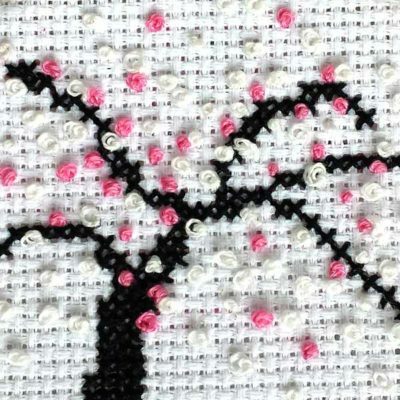 I tried your cherry blossom pattern with colonial knots, and I LOVE IT!!! I am having so much fun making them. Such a nice change to the millions of x’s I’ve made. I’m anxious to find more patterns with knots. Thank you for your wonderful tutorials. You’re an awesome instructor and artist. How do you anchor the French and colonial knots at the beginning and at the end? Hi Pam, thanks for your question! It depends on how many you’re doing, and whether they’re on a sheer or translucent fabric. If you’re doing a whole bunch in one area, I’d anchor them the same way as you would any stitch and just drag the floss across the back from knot to knot. If you’re stitching them on more delicate fabric and they’re scattered all over the place, you could use a pin stitch to anchor them. 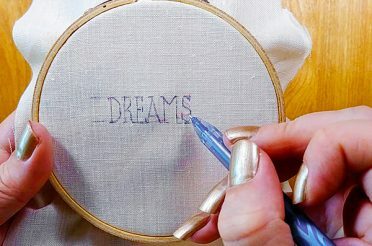 Here’s a link to a blog post and tutorial video about that — https://peacockandfig.com/2015/04/beginning-and-ending-threads-loop-method-pin-stitch/. I actually just use small knots a lot of the time. I know some stitchers are really fearful that knots will show through the other side when a piece is being framed (as big lumps can show up), but if you’re putting a French knot over the top then there really isn’t anything to worry about — there’s already a “lump” from the French knot. 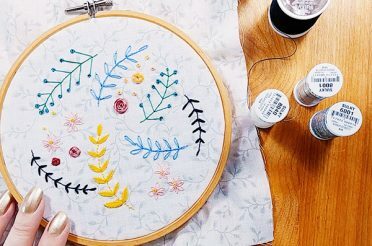 You could also anchor the beginning of your stitch with a tiny stitch using the loop method (also in the same video), then form your French knot over top. 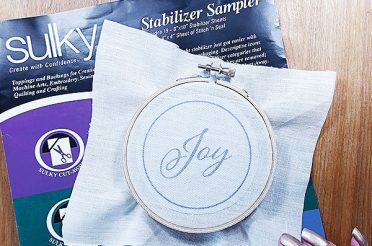 I’d just experiment and see what seems to work best for you, each stitcher has their own preferences, and it does depend on the actual pattern and the fabric you’re using. Does that help?